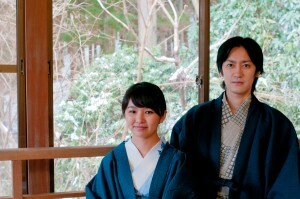 Hakone, one of Japan’s most prominent hot spring sites attracts numerous tourists. However, you might feel that “the transport system and tourist sites are so complicated and hard to understand” when actually getting down to planning your trip. Don’t worry! Let us introduce to you the 5W1Hs of the “Hakone Freepass” which will guarantee you a simple yet economical trip to Hakone! 1. WHAT is the Hakone Freepass? The Hakone Freepass is a special tourist ticket that provides unlimited travelling on the Odawara Line (from the first station to Odawara) and on transport within Hakone, as well as discounts on various facilities. There are two types of passes – 2-day and 3-day use. The Hakone Freepass enables unlimited travelling on the following key modes of transport. #Only 1 round to and fro on the Odakyu Line is allowed. 2. 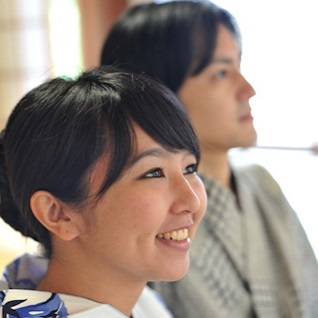 WHY choose the Hakone Freepass? Which comes up to a total of ￥6,530 (As of May 2015). However, if you use the 2-day Hakone Freepass, it only costs you ￥5,140, and you save ￥1,390! Perhaps you’ll suddenly have the urge to visit a tourist attraction not in your itinerary or try a new restaurant in the middle of your trip. With the Hakone Freepass, there’s no need for you to calculate the transportation costs everywhere you go. Even if you’re only going for a day-trip, the 2-day Hakone pass is still highly economical. You can save both your time and your money, and just focus on enjoying your trip! The Hakone Freepass is sold at the following prices from most stations. Furthermore, you’ll be able to receive discounts or extra service from over 50 places, including hot springs, spas, art museums, leisure facilities, restaurants and shops as long as you have the Hakone Freepass. The discounts range from 5~20% depending on the shop. You have no restrictions on where to go and can enjoy a free and active trip! 3. WHO created the Hakone Freepass? The Hakone Freepass was created by the Odakyu Electric Railway Company, which operates the railway system and real estate services in Tokyo and Kanagawa. When the transportation system in Hakone was being planned, they came up with different modes of transport suitable for Hakone’s complicated landscape. As a result, tourists had to purchase different tickets for different modes of transport which was very troublesome. That’s when they decided to have a ticket that could be used for all modes of transport! And that is how the Hakone Freepass was born. 4. WHEN did the Hakone Freepass start? The Hakone Freepass was first sold in 1967. Back then, only 3-day and 4-day passes were offered. That’s because going to Hakone for a trip was a big thing then, and many stayed at least for 3-4 days. In 2007, it was changed to a simple 2-day and 3-day pass system. Due to improvements in transport technology and people’s lifestyles, it became possible to go to Hakone for a day trip, and more people started visiting Hakone on both the weekdays and weekends. 5. WHERE can I buy the Hakone Freepass? Currently (May 2015), the Hakone Freepass is not being sold online. However, there are many places in Japan selling it and you can easily purchase it. You can purchase your ticket up to 1 month prior to your trip, but the vending machines at stations only sell tickets valid from the day itself onwards. Do check with the staff if you’re booking through a travel agency. However, there may be agent fees in that case, causing the pass to be more expensive than the original market price so please take note. If you’re coming from Narita Airport, you can purchase the pass from the Kyosei Bus ticket counter inside the airport. Only the 2-day pass from Shinjuku station is sold there. There are also Odakyu Tourist Centers at Shinjuku station (West exit) and Odawara station, and you can purchase the different types of passes here. There are also staff that can speak English, Chinese and Korean so go ahead and ask them for advice about your trip. Most people go to Hakone from Shinjuku or Odawara, thus making these centers convenient. Also, all stations on the Odakyu line have ticket vending machines, so you can get the passes on the day itself as well. They are also sold on the Seibu line (except for at Ikebukuro, Nishi-Shinjuku), and the Sagami line. Do approach the station staff for help if you have any problems. If you would like to purchase the pass in Hakone itself, you can get it from the Odakyu Travel Agency at Hakone-Yumoto, Gora, Sounzan on the Hakone Tozan Railway, and various places on the Hakone Tozan Bus routes. 6. HOW can I use the Hakone Freepass? The Hakone Freepass logo is a bird inside a white and blue oval. You can use the pass on any mode of transport with this logo. If you’re traveling by train, you can tap through the station gates with the pass. Do use the station gates with a staff member if you’re unsure. In the case of the Hakone Tozan Railway, Hakone Tozan Cable Car, Hakone Ropeway, just show the staff your pass when boarding or alighting (or both in some cases). Please check with a staff member in the case of any problems. If there aren’t any station staff members around, just follow what the locals do and you will be fine. Do take note that you cannot use the Komagatake Ropeway for free, but only with a discount. When using the Hakone Pirate Ship at Lake Ashi, show the staff your pass when boarding. There are 2 types of ships at Lake Ashi, the Hakone Pirate Ship and the Hakone Lake Ashi Sightseeing Cruise. The Hakone Freepass only allows you to use the Hakone Pirate Ship so do take note of that as well. You can board almost all of the buses in Hakone for free with the Hakone Freepass. However, this is not applicable to the Izu Hakone Bus (White bus with blue, red and green stripes and a lion). You can’t go wrong if you double check with the bus driver by showing your pass when boarding. One of the most important things when travelling is confirming your means of transport. As long as you have the Hakone Freepass, you’ll be able to board all kinds of transport in Hakone and visit all the places you want to. Furthermore, you can also receive discounts for the hot springs, tourist attractions and restaurants, so it is really a convenient purchase for your trip worth every single cent! Please Subscribe then we can keep in touch! The newest information about Hakone travel and the most Fresh information which will surely enrich your Hakone experience Will be served directly into your email box. Subscribe from all over the world will be 200% welcome. Please let us keep in touch with you via Email magazine from us. Fresh and vivid Hakone information will be served directly to your Email box.